Nita Singh Kaushal is the Founder of Miss CEO, a company that offers world-class leadership education, mentorship, and career exploration opportunities to empower students and young women and inspire them to become great leaders. Since 2011, Miss CEO has trained thousands of children, young women, and professionals all over the world. Nita is also a Lecturer in the School of Engineering at Stanford University where she teaches undergraduate and graduate students how to develop leadership skills so they can make meaningful contributions in their careers. Prior to Miss CEO, Nita held senior management roles at Yahoo! and Intel, served on the Stanford Women’s Community Center Advisory Board, as well as led Yahoo! Women in Tech, a 500+ member organization committed to attracting, developing and retaining more women in technical and executive positions. Nita graduated from Stanford University with a degree in Electrical Engineering and resides in the Bay Area with her husband and three boys. As VP of Programs for Miss CEO, Andreina gets great joy out of developing engaging and empowering curriculum to help foster our next generation of leaders. Andreina leads the Teaching and Learning team at Coursera, where her team focuses on the development and implementation of best practices in online course design and platform creation to help make education more accessible across the globe. Outside of that, she is involved with outreach and mentoring programs, coupling her science background and passion for education to promote participation and enjoyment of science with middle and high school students. Andreina grew up in Pittsburgh, PA and holds a BS in Biomedical Engineering from Duke University and a PhD in Bioengineering from Stanford University. In her free time, Andreina likes bike riding to explore new places with her husband. Aylin is ecstatic to be working with Miss CEO to support and advance our next generation of women in leadership and innovation. Her passion for empowering young women stemmed from having an all-girls education in middle and high school, where she saw firsthand the importance of fostering leadership skills and self-confidence for young women at an early age. Aylin is a lawyer at Stripe, an online payments company that provides tools for building and running an internet business. She previously co-founded Vinkind, a boutique wine delivery service in San Francisco. Prior to taking the leap into the startup world, Aylin was a corporate attorney at Wilson Sonsini Goodrich & Rosati, where she focused her practice on emerging growth and clean-tech companies. Throughout her legal career, Aylin also devoted her time to extensive pro bono projects for non-profit organizations such as Lawyers without Borders and the Public Interest Law and Policy Group. She is passionate about the rights of women internationally and is proud to be active in global women’s issues through the U.S. National Committee for UN Women, where she previously served on the Board for two years. She’s an avid foodie and certified sommelier, spending most of her free time painting, cooking or wine tasting with family and friends. Aylin received her J.D. from UC Berkeley School of Law and her B.A. in Women’s Studies and Political Science from UCLA. As Program Operations Director for Miss CEO, Patty is excited to help provide leadership education, mentorship, and career exploration opportunities to empower young women to succeed in their careers. Jessie is thrilled to be working with Miss CEO and to help young women develop the leadership skills necessary for success early on in their academic and professional lives! Jessie is a Risk Management Specialist at Google, where she advises Google teams on risk policy and processes. Previously she worked as a manager at Monitor 360, a boutique consulting firm, where she led a variety of geopolitical strategy and communications projects. While at Monitor 360 she co-led the company’s Women’s Network, and became interested in how confidence and communication styles can impact women’s professional development. Jessie graduated from Stanford University with a B.A. in History. While in college, she also worked in education technology, product marketing, and political consulting firms. 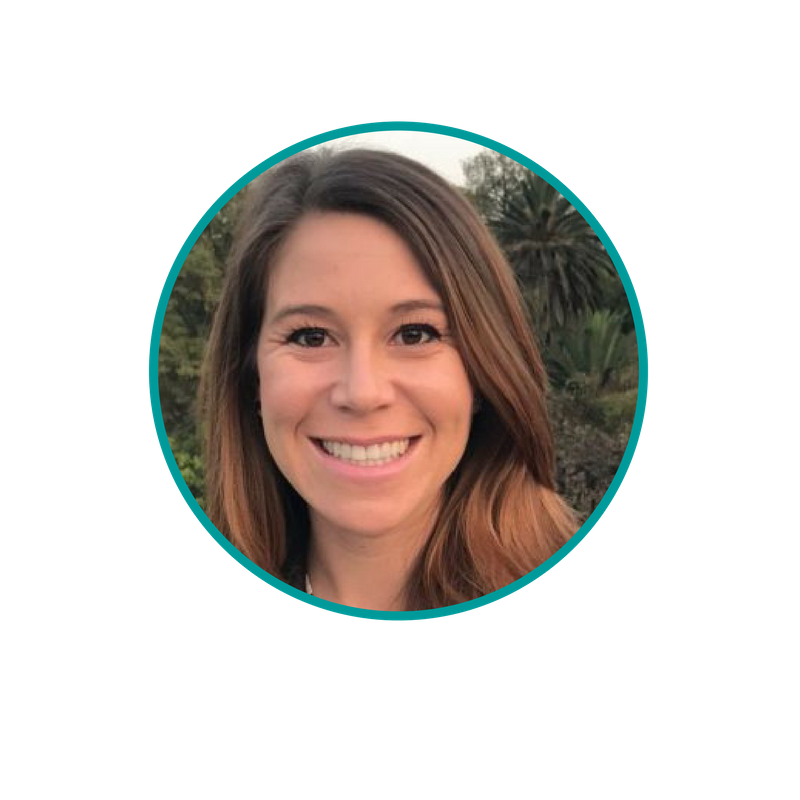 Jessie currently lives in the San Francisco Bay Area, and enjoys cycling, running, and skiing, as well as attempting to master Persian cooking. Sabina Chaudhuri is the Director of the Miss CEO Ambassador Program. She is also a Business Systems Analyst at Cisco, where she uses data to help drive strategic business decisions. She is also involved with Cisco’s Early Career Network where she plans development events and helps to provide tools and resources for others early in their careers. Sabina graduated from the University of California-Davis in 2015, majoring in Managerial Economics and minoring in Education. During college, Sabina worked as a market analyst for the College of Engineering and served as manager for the UC Davis Club Finance Council. Sabina has also worked in Corporate Affairs at Intel to help plan and execute volunteer events and programs, as well as served as host for her own segment "Young Living with Sabina" on WomenNow TV. Maria grew up on a farm in Minnesota and went to high school at Minnetonka High, a local public school where she first fell in love with science. She then came to Stanford for her undergraduate degree, where she majored in Bioengineering and worked in two labs led by amazing female professors, Christina Smolke and Jennifer Cochran. During her time at Stanford, she rode and captained the Stanford Equestrian Team, volunteered as an EMT, and helped to lead the Society of Women Engineers. Through her work as an EMT, she discovered her love of medicine, and decided to pursue an MD/PhD to combine her love of science with her passion for providing medical care. After graduating with her BioE degree in 2016, she matriculated into Stanford's MD/PhD program, where she just finished up her first year. Maria is looking forward to doing translational research for her PhD and hopes to one day be a physician-scientist professor and run a lab at a place like Stanford. Outside of research and classes, Maria loves distance running, swimming, hiking, and backpacking. Sarah is delighted to be joining the Miss CEO team as a Program Instructor. She is passionate about teaching and inspiring young women to confidently work towards their academic and professional goals. Sarah is currently pursuing a PhD in Chemistry at Stanford University, where she has been active in undergraduate teaching and organizing student-hosted seminars for the Chemistry Department. She graduated from Pomona College in 2013 with a B.A. in both Chemistry and German. Following graduation, Sarah combined her passion for science and love of language by accepting a Fulbright to pursue chemistry research in Mainz, Germany. She then obtained her MPhil in Chemistry at the University of Cambridge, where she focused on detection of sub-surface pigments in works of art. While in Cambridge, she also volunteered at the annual Science Day and Twilight at the Museum events, as well as founded and ran a biweekly film night. Sarah grew up in Anchorage, Alaska and Alexandria, Virginia. Outside of studies and research, she enjoys tennis, film, and exploring art museums.